The Iceross Synergy liner with Wave incorporates a unique combination of two different silicone durometers to provide the perfect balance of comfort and stability. A firm silicone outer layer provides outstanding stability for active use, while a softer shock-absorbing inner layer nurtures the skin, offering superb suspension and comfort. Iceross Synergy with Wave makes the liner easier to flex at the knee, allowing it to adapt more to the user's movements. Less resistance means that less energy is required to flex the knee. 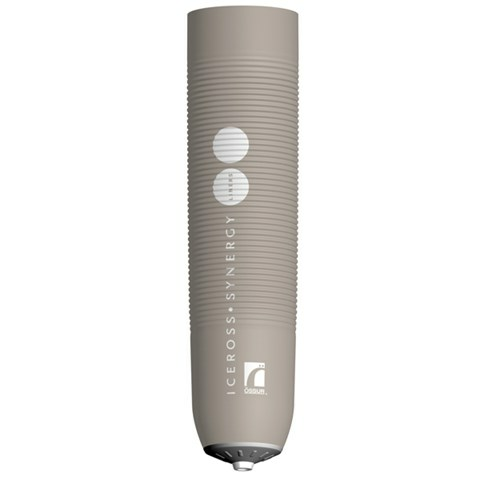 Össur recommends that Iceross Synergy Liner with Wave is used in conjunction with the Icelock® 600 Series. A stiffer outer layer of DermoSil® silicone provides outstanding stability, while a softer DermoGel® inner layer nurtures the skin and provides shock absorption and comfort. Menthol is one of our active skin care ingredients, offering the added benefit of a pleasant, fresh smell. The Japanese have been enjoying its properties for over 2000 years. Widely used to relieve minor irritations, menthol has a cooling and calming effect on the skin.